Porcelain veneers can create huge improvement to your smile. These thin shells that are made from advanced materials are attached to your existing teeth to address any dental aesthetic concern you may have. Your dentist can match the porcelain veneers to your natural or desired tooth colour to provide a natural-looking, authentic appearance. Dental professionals use dental veneers for various cosmetic corrections such as dental whitening or orthodontic adjustments. Because of this, you may not need to spend years improving your smile with dental braces or with other procedures that require multiple visits such as dental bonding. With veneers, your dentist can completely transform your smile in a matter of two dental appointments only. Porcelain veneers offer lifelike appearance and they have an impressive number of functions. They closely resemble the appearance of your tooth enamel. Thus, they rank the most trusted, convenient, and popular treatments in cosmetic dentistry. Looks natural – porcelain veneers can be customised to blend perfectly with the rest of your smile. Your dentist can match them to surrounding teeth in order to provide the most natural-looking results. Improves many cosmetic issues – while teeth whitening or tooth contouring can only deal with a single cosmetic flaw, porcelain veneers are designed to be a versatile treatment. They can address aesthetic issues such as damaged teeth, discoloured and misaligned teeth, gaps, and a lot more. Protects Teeth – porcelain veneers will not only correct dental flaws, they can also strengthen and protect weak teeth with chips or cracks because of the durable, ceramic materials that porcelain veneers are composed of. Transforms smile in an instant – porcelain veneers can transform your smile with only two dental visits. The entire procedure involves the consultation, taking impressions of your teeth, preparing the tooth and placing of custom-made veneers. Long-lasting results – over the past 30 years, dental veneers have been made more lifelike and stronger than ever before. They are designed to last for years, and with proper care, they even can last for decades. Thus, you can enjoy your beautiful smile for many years to come. The best way to fully determine if you are an ideal candidate for dental veneers is by visiting a skilled cosmetic dentist. Your dentist will be the one to evaluate your health history, current oral health as well as the condition of your tooth enamel. After all these steps, your dentist can make an informed decision about your suitability for porcelain veneer treatment. In case you’re a poor candidate for the treatment, your dentist can recommend alternative options. Your Melbourne dentist at Q1 Dental aims to help you achieve the smile of your dreams by offering solutions that deliver impressive and long-lasting results. At Q1 Dental, we are more than ready to transform your smile with our best-quality porcelain veneers. If you are ready to experience the multiple benefits of porcelain veneers in Melbourne, don’t hesitate to schedule your consultation with our skilled cosmetic dentists at Q1 Dental today. For Medibank Private, HCF and CBHS, claim your PAY NO GAP OFFER on check-up and clean. Bulk Bill Child Benefit Schedule Up to $1,000. FREE Consultation on Dental Implants, Teeth Whitening and Orthodontics. Don’t miss our special offers! 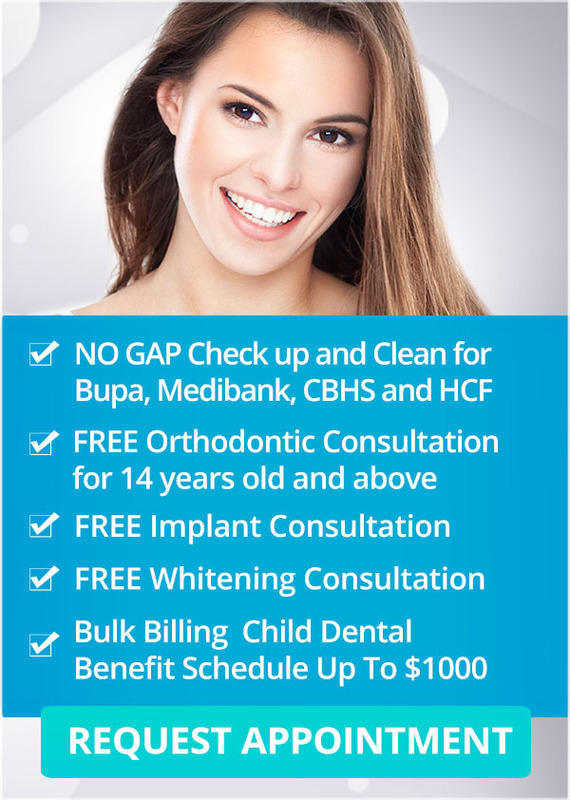 Call us on (03) 9078 1955 or book your appointment online.